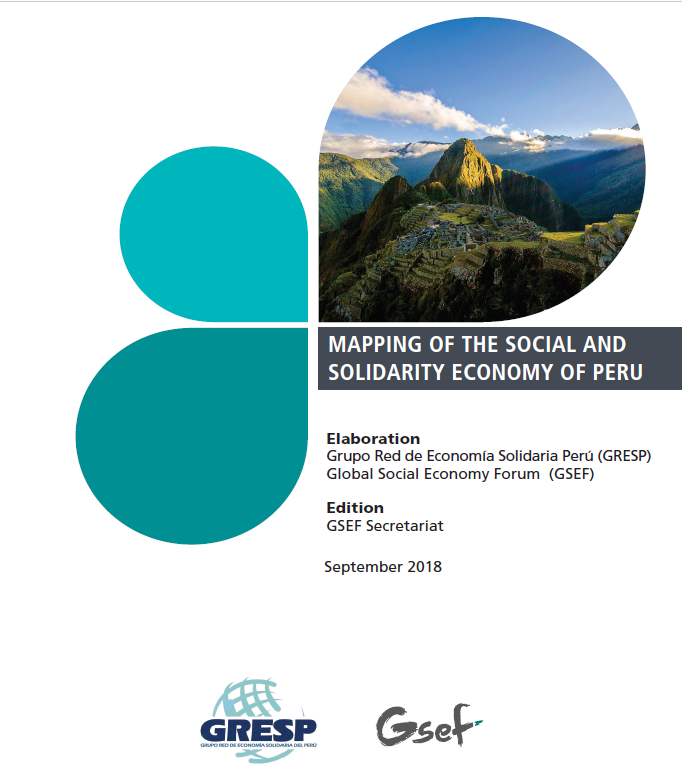 The Social and Solidarity Economy of Peru (SSE) organisations, of production, and consumption at the regions of Peru have developed significant micro local levels of articulation, yet not at the national level. The production is mainly for the local and regional market. Some larger SSE organisations allocate their production to the foreign market. SSE is not centralised and does not count with national representation yet. Through SSE projects, lives of thousands of people and families in poverty, social exclusion or in danger of returning to poverty have been guaranteed. The Commodores Populares (Popular Soup Kitchens) of Lima are examples of the contribution of women who participate in social struggles and provide food to their families and to social movements, which collectively guarantee the right to food. The 2013 data show that 150 thousand members manage 2,775 self-managed Popular Soup Kitchens and another 1,930 are subsidised with food by the State. The contribution of Social and Solidarity Economy organisations (Local Initiative Groups, GIES) in local spaces has helped to establish agreements with local authorities, municipalities and the population, becoming new actors of local development that generate employment, demand inputs, establish human relations, and generate channels of commercialisation and distribution. This form of creating synergies among local actors contributes to the social fabric in spaces where actors meet, not only at the economic level but also in daily life. The SSE helps to build the new man and woman, in a new locality, in a new region, in a new country, in harmony with nature. Where the "new" is what we are building in local spaces, is not something "imported", but something vital, born of personal and dynamic needs. It is a way to be creators and builders. The organisations of Social and Solidarity Economy of Peru do not count on the support of the state nor of the private sector. A Law of Social and Solidarity Economy as a framework for public policies that support and promote the development of the SSE is required. At the local level, it is necessary to promote roundtables, SSE platforms, as more effective forms of decisions and agreements, promoting synergies in the organisation of production, and responsible consumption. Also, the development of urbanisation economies and the density of the institutional fabric, in connection with SSE clusters, must be enforced. In order to strengthen the ROLE of SSE initiatives, it is necessary to promote capacities for project management and institutional development. The capacity of SSE organisations is critical for territorial development. The territory is not an "objectively existing" physical space, but a social construction, that is, a set of social relations that give rise to, and at the same time, express an identity and a sense of purpose, shared by multiple public and private agents. It is recommended the formation of a centre of Services and Supportive Solidarity, CESAS (for its acronym in Spanish), to make diagnoses, elaborate modules to be available to the organisations in the four macro-regions. This can be implemented through an itinerant program that approaches local areas, promoting the development of personal and institutional capacities. It is necessary that SSE organisations, NGOs and networks consider the need to build an SSE movement, that advocates, campaigns, create public awareness about the importance of SSE in local development and as a space for human relations. A Social Movement oriented toward another kind of economy. The challenge is for expressions of the Social Economy to become 4 part of a Social Movement which has a political project oriented to an integral and solidary human development, where actors are identified with the alternatives to the current neoliberal system that is excluding and unsustainable from every point of view. A suggested strategy for the strengthening of the Social and Solidarity Economy is the formation of a Solidarity Economy Movement (MES, for its acronym in Spanish) as a representative network of SSE organisations and networks in Peru. MES can bridge actors in the state, private companies, at a local, meso and macro level, promoting public policies favourable to the development of the Social and Solidarity Economy. Also, that in alliance with national actors strengths the Social and Solidarity Economy as an alternative of economic, social, political, cultural transformation, of defence of the environment, with ethical perspective, promoting the development of the country. Networks such as the Solidarity Economy Network Group, GRESP, the Local Initiative Groups, GIES, the regional Social and Solidarity Economy organisations, GIES, SSE organisations and networks in the Catholic and Evangelical Church, CARITAS, cooperatives networks, among others, can participate in this effort.